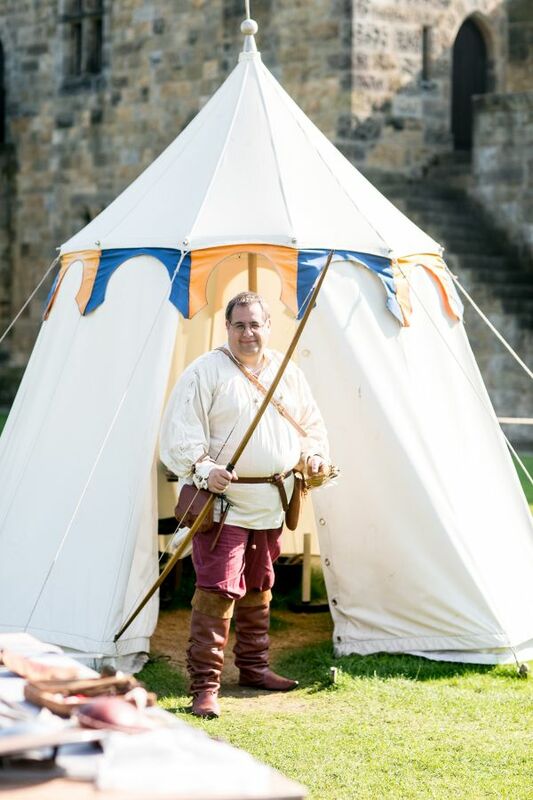 Observe incredible feats of skill during our live-action longbow demonstrations, with the entertaining master archer Andy Rice. Often the weapon that determined the outcome of many of medieval England’s ferocious battles, discover more of the techniques and flair that would have been employed by expert archers in order to successfully neutralise or maim their targets. The English were ones to use the longbow with deadly effect, the most famous example being at the Battle of Agincourt. Even the Percy family themselves failed to escape the brutal nature of the longbow. Alnwick Castle’s own Harry ‘Hotspur’ Percy is thought to have been killed by an arrow, fired from a longbow, in the Battle of Shrewsbury in 1403! This informative longbow demonstration will be held between the 25th and 27th May and is free with admission to Alnwick Castle! Please check the ‘What’s On’ board upon arrival for timings and locations, as these can vary day to day. Have-a-go-archery is a daily activity held between the 29th March until the 27th October. Please note, archery and associated activities are weather dependent.